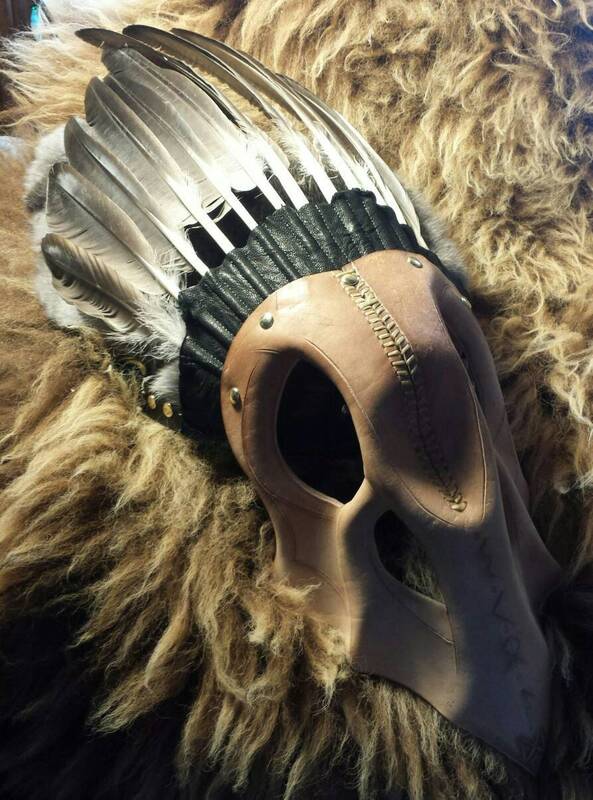 This is a customizable leather headdress. 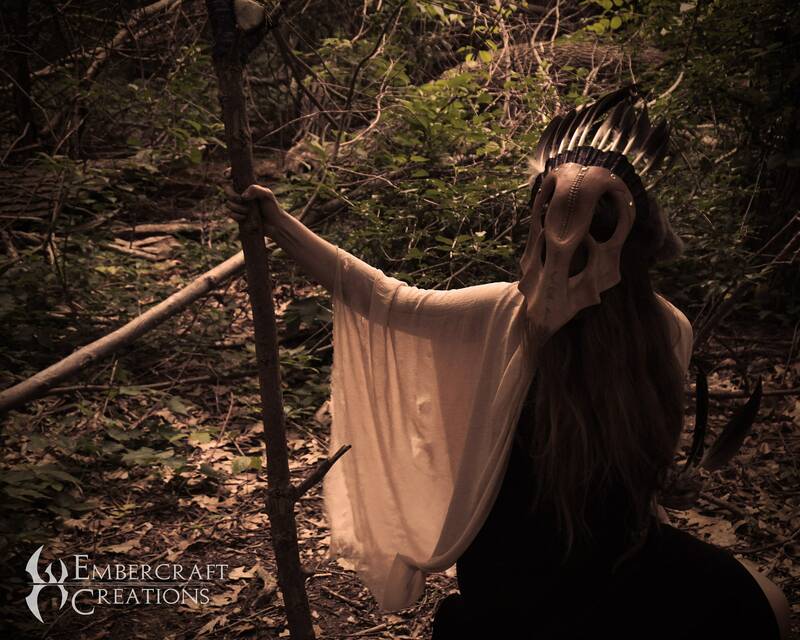 This costume piece is perfect for LARP, SCA, Renaissance Faires, festivals, etc. Please read all of the following information to make sure you get the most out of your customized product! 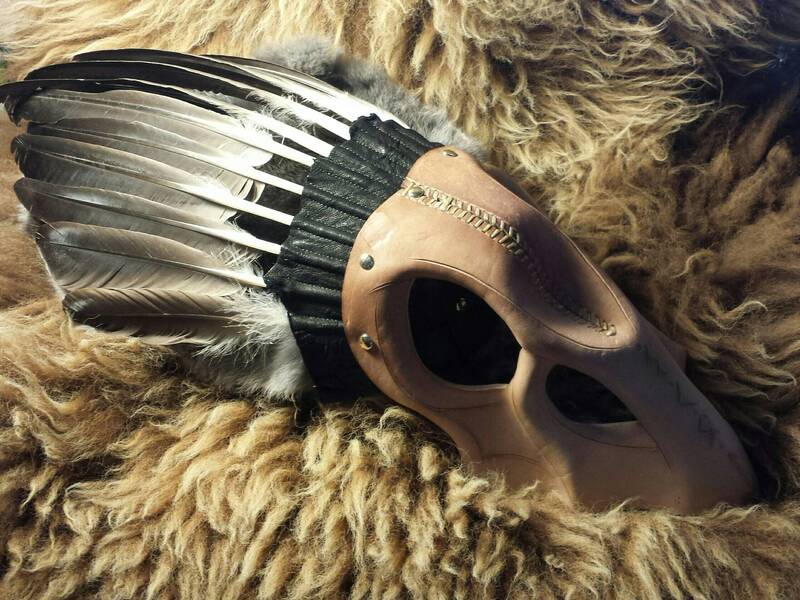 This listing is for the feathered headdress shaped like a CROW skull. 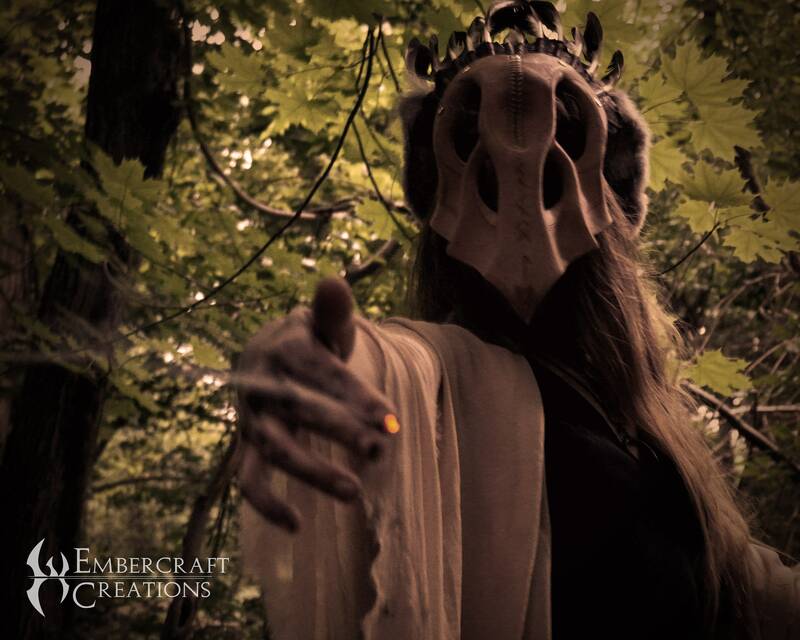 Its sister, the horse skull, is sold in a separate listing. 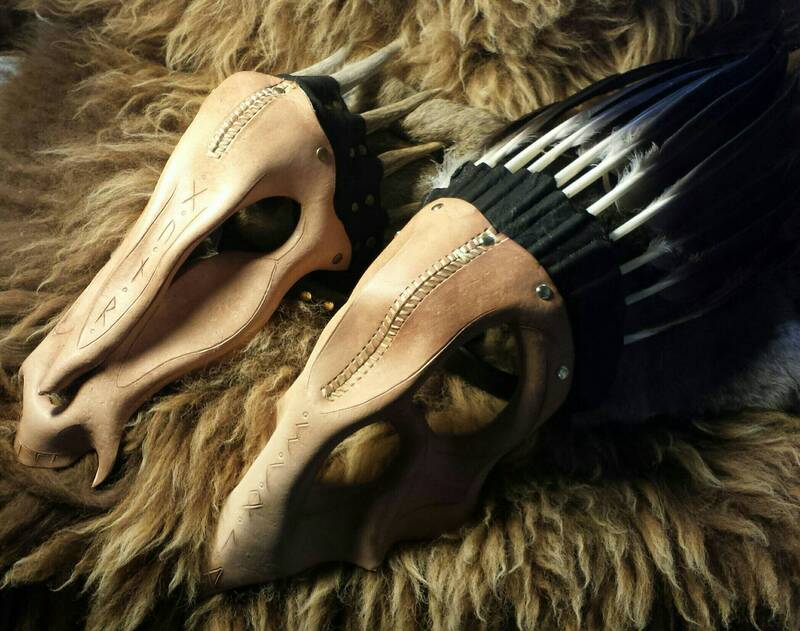 Above, see a picture of the horse skull headdress being worn, to get an idea of how these headdresses sit on the head. 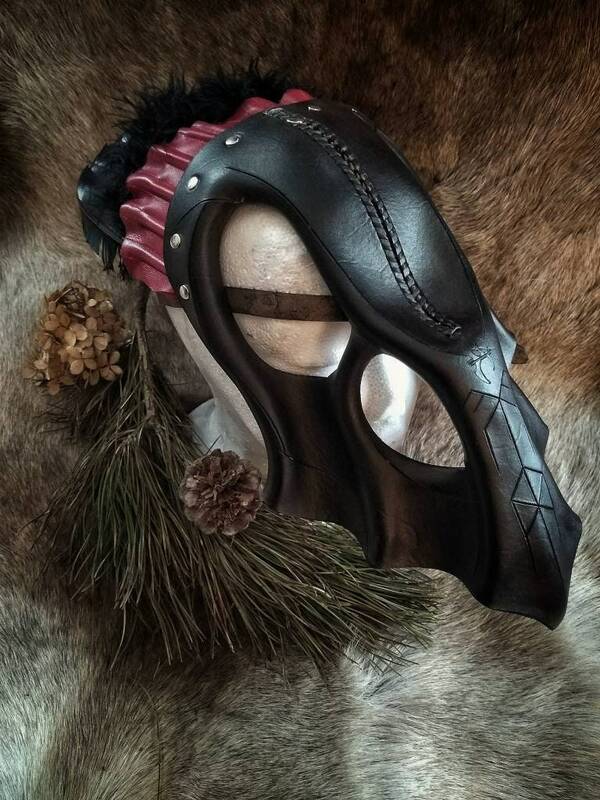 2) Choose primary color: This will be the color of the leather mask part of the headdress. Shown is the Natural option, with no color. 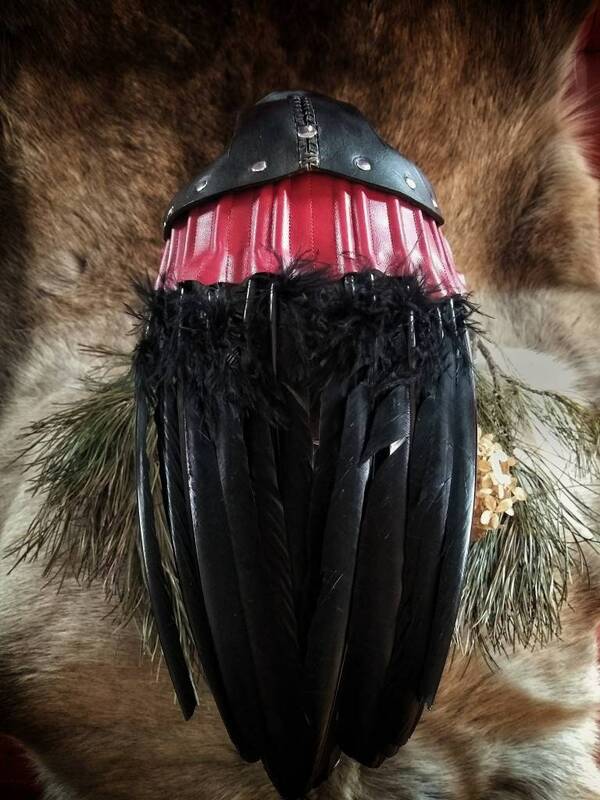 3) Choose secondary color: This will be the color of the leather that holds the feathers off the back of the headdress. Shown is the Black option. The color of the hardware can be either silver, gold, or antiqued brass. If you have a preference on the color of hardware, mention it in the text entry box at checkout, or send me a message. 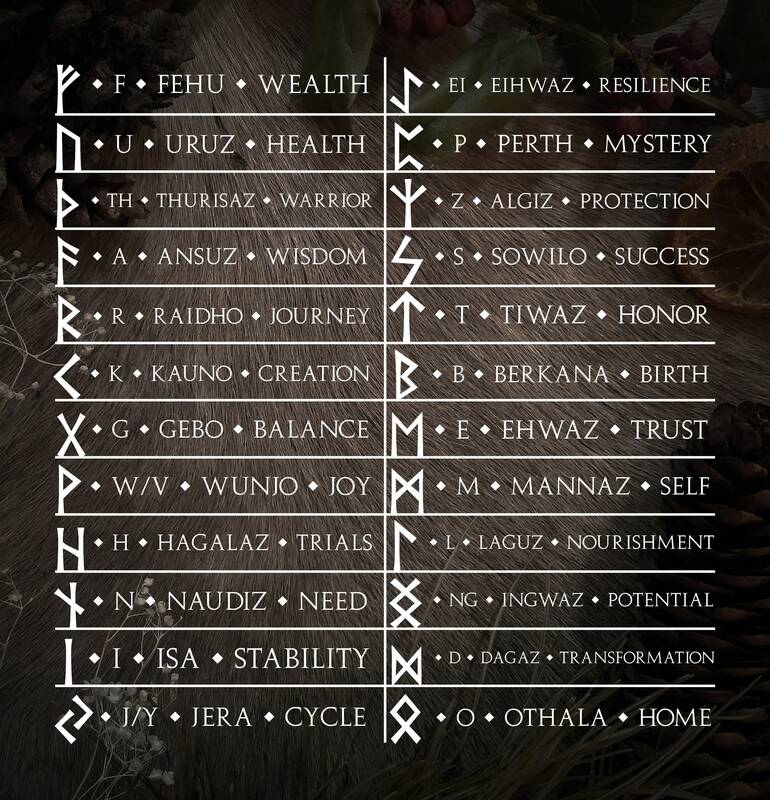 You can choose up to 5 runes to be carved in your headdress. 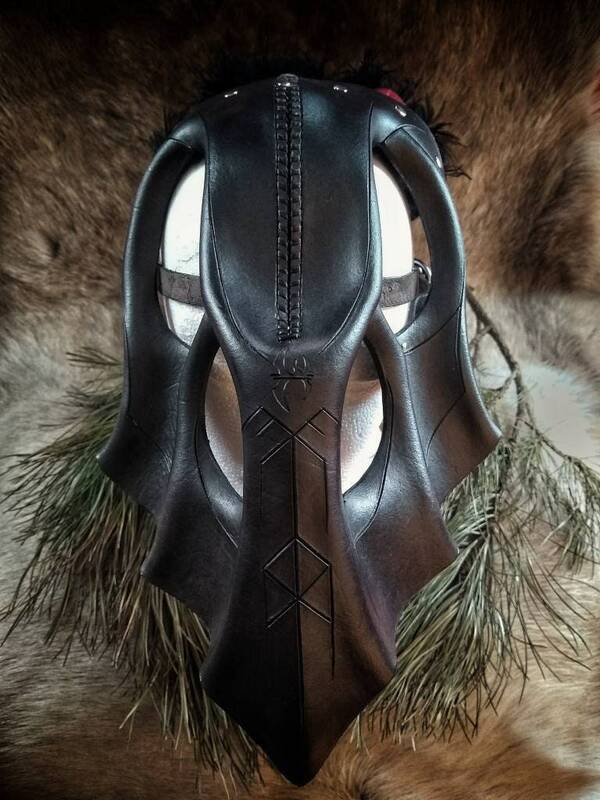 These will be carved down the nose of the leather mask. Shown is "Skuld", the name of one of the Valkyries in the sagas. If no inscription is specified, this inscription will be the default. 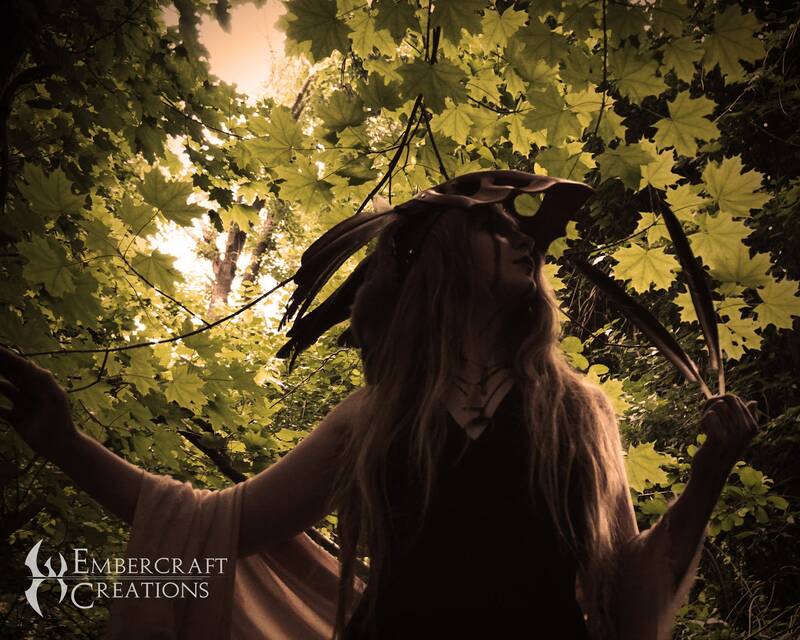 I absolutely love this headdress! The shaping is fantastic and the whole piece feels like it oozes power. Definitely going to be a repeat EC customer!